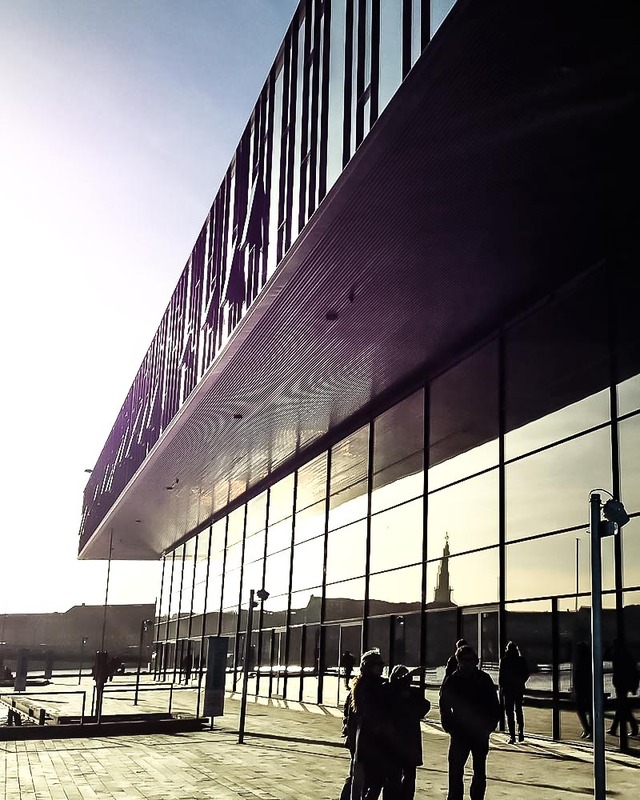 Having been to Copenhagen twice, once on a chilly winters day and then again recently on a Princess Cruise, I stand by my first take on the city; It’s clean, uber cool and perfect as a day-trip destination. 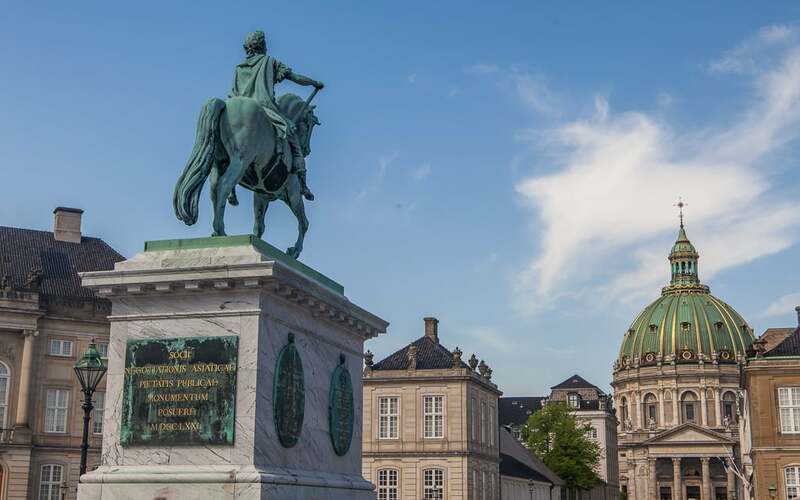 While many people would argue that a day isn’t enough to soak up the capital of Denmark, I think if it is all the time you can afford to spend here in what is one of the priciest destinations in Europe then you can still explore many of the highlights in a short period. Hire bikes to get around (it’s the done thing in Copenhagen) and you’ll be able to shoot around in no time at all thanks to the extensive cycle lanes across the city. 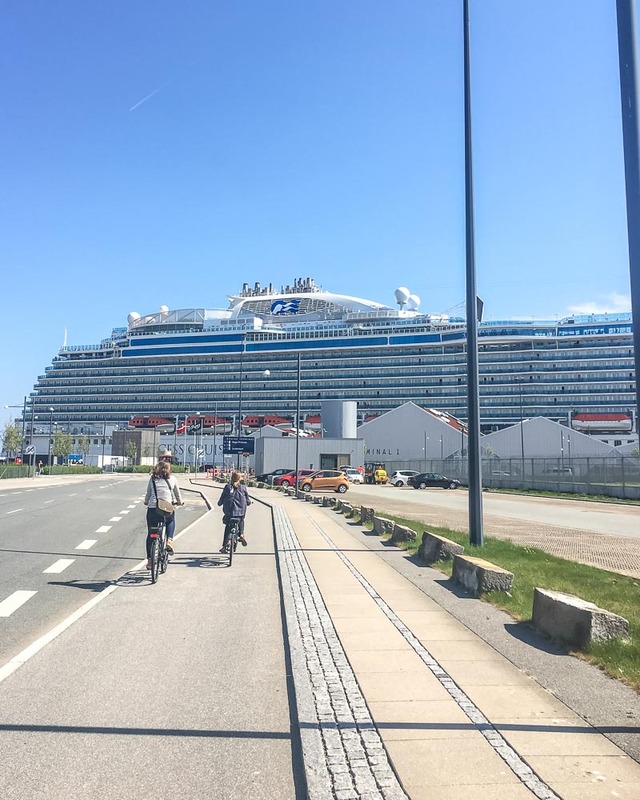 It was even possible to cycle to and from the cruise port on my last visit having pre-arranged the bikes for arrival. 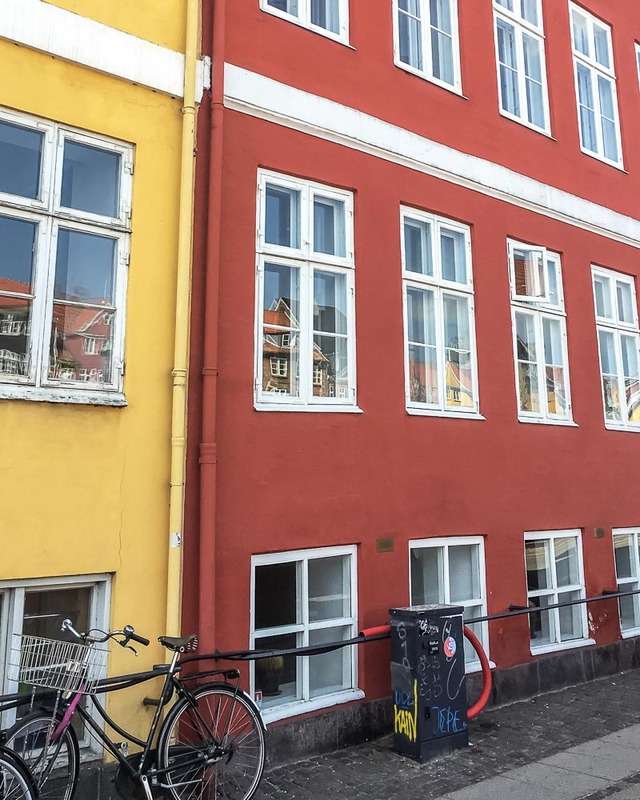 Scroll down to read my tips on how to spend a day in Copenhagen and jump 9-minutes into the video to see a few highlights. Excursions available: From canal cruises, city tours, local fishing villages through to renaissance castles, the Princess team can book various excursions onboard. 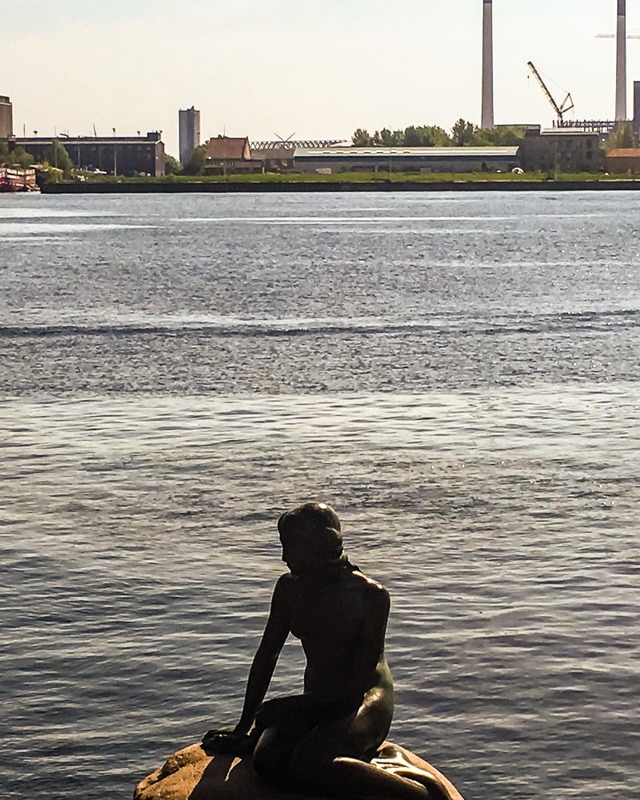 Let’s start with what could be one of the most disappointing attractions in Copenhagen, The Little Mermaid statue. You’ll have to fight through the crowds to get up close and personal with this petite model which sits alongside the waterway. Built by Edvard Eriksen, it is one of the most popular spots for tourists visiting the city, but personally, I’m not sure why. Just alongside the statue sits something far more impressive, Kastellet, one of the best-preserved forts in the country. Shaped like a star and surrounded by a moat cross one of the bridges to get inside and explore the bastions, cannons and displays inside. Outside you can see St Albans Church, a small quaint church built for the English population in the country during the late 19th century. A short walk/cycle away is The Russian Orthodox church which has a more impressive interior. 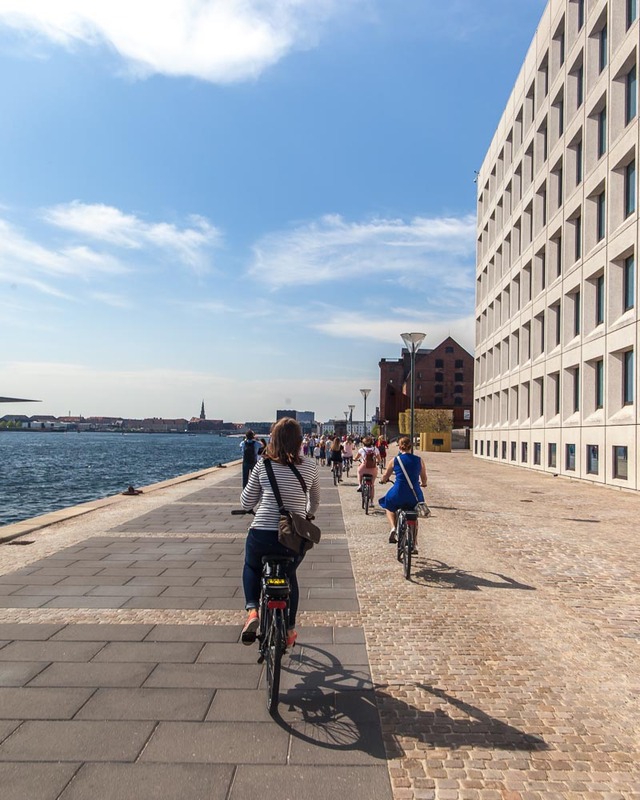 Continue cycling along the waterfront and from Amalie Garden you can see across to the Copenhagen Opera House, a striking glass building best viewed from the opposite side of the river before taking in the royal residences. 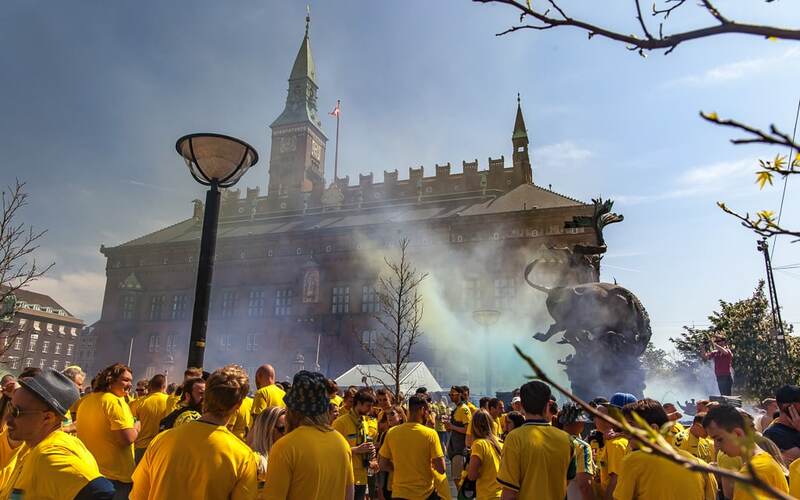 The royalty in Copenhagen is a little different from the rest of the world. 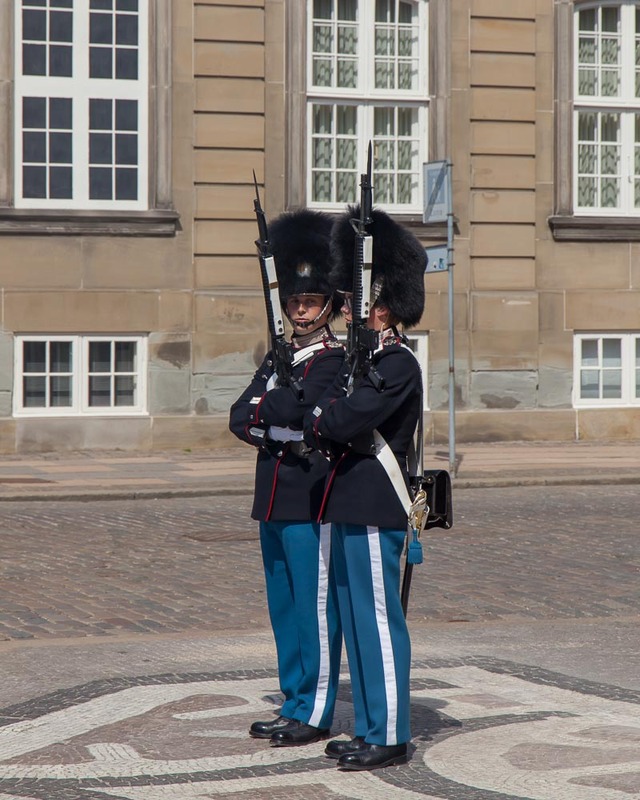 They live in one of the most popular squares in the country and can often be found cycling around, but don’t get too close to the guards here as they aren’t just there for photos, they have guns to protect the royal family for a reason. The square, or rather circle, which the royal houses sit around is somewhere that you should at least spend a few minutes walking around, even if it is just to get a typical tourist shot of the guards with their fur hats. 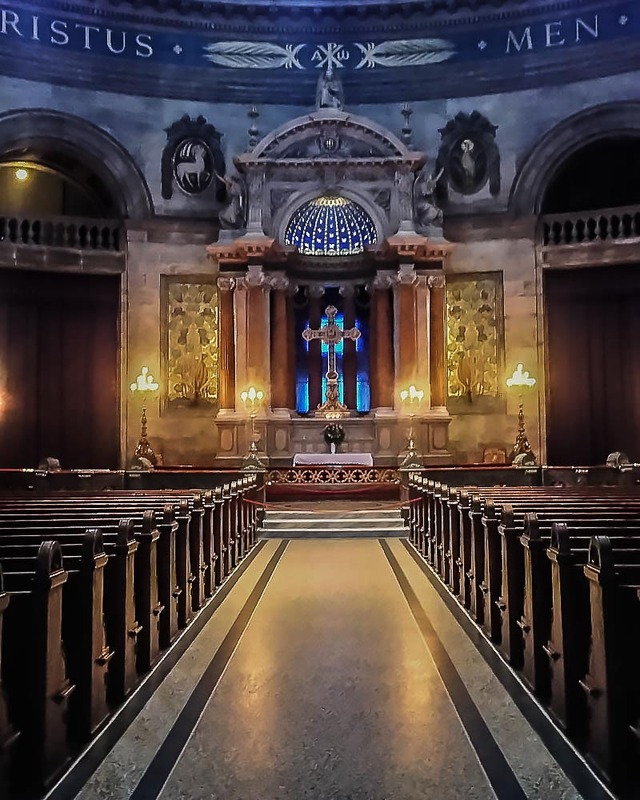 In the background, you’ll see the largest dome in Scandinavia which belongs to the 18th-century Frederik’s church which you can tour inside and at limited times, visit the dome itself. 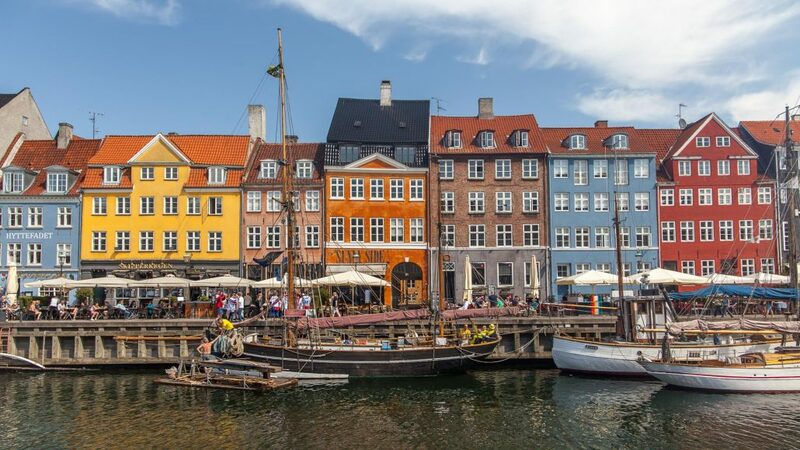 The colourful 17th-century waterfront of Nyhavn has become the Instagram poster child of Copenhagen and is the perfect place to park up your bikes to grab a bite to eat or even take a canal cruise. Multiple colourful canals make up the city and exploring them, either by bicycle or canal boat, is one of the best ways to spend a day in the city I reckon. 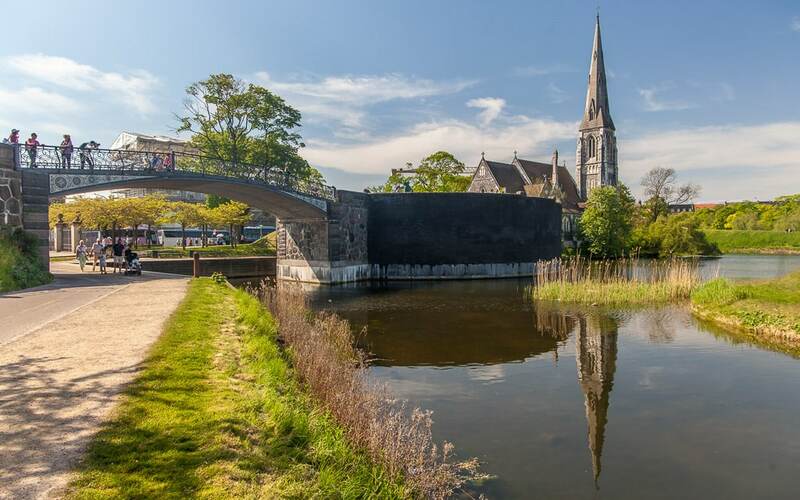 A word of warning: you will be battling some crowds here in the summer months as restaurants spill out of their terraces and elbows jostle to get the perfect shot of the crooked houses along the water. 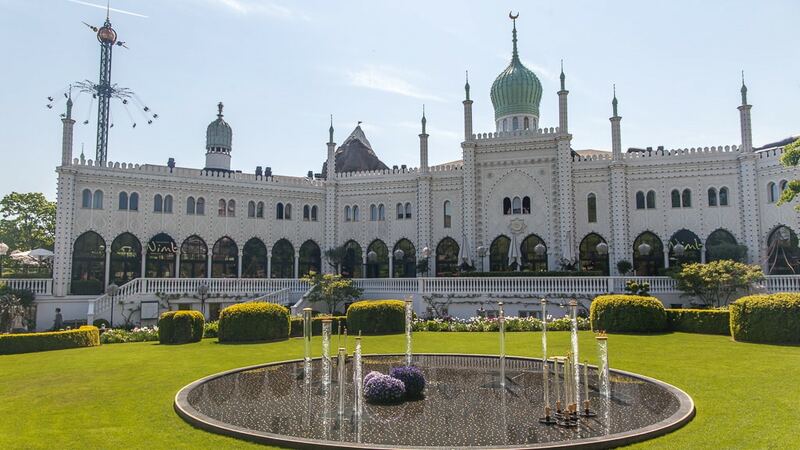 Another of Copenhagens most famous attractions is Tivoli, a theme park amongst well-maintained gardens. 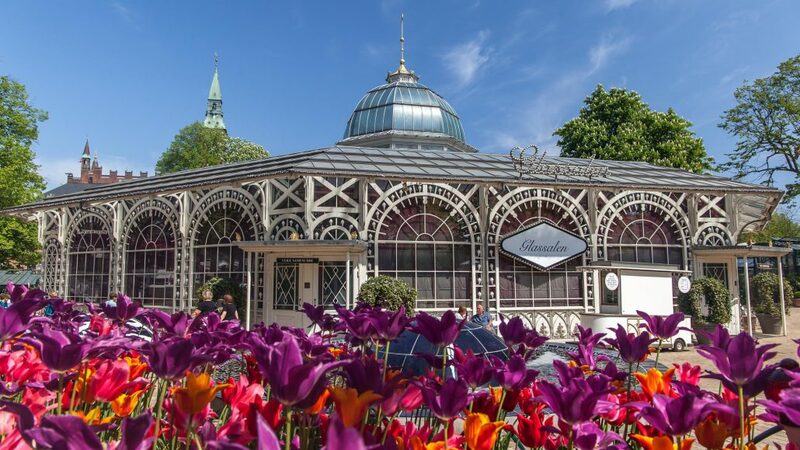 With theatre shows, dining options and plenty of rides the ticket price of 120 DKK (approx £14 / $18) may be worthwhile for some but I would recommend spending the time and money elsewhere if you only have one day in Copenhagen. 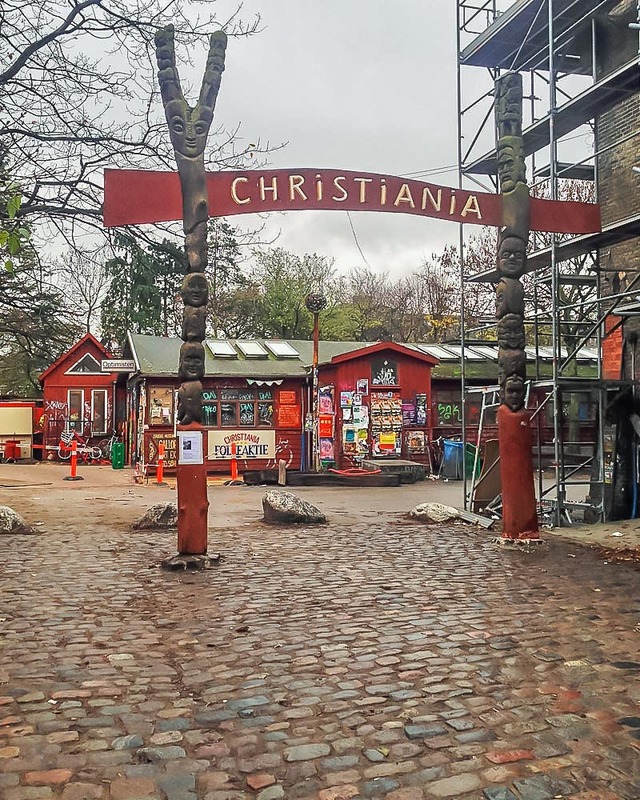 An alternative neighbourhood which is a self-proclaimed autonomous district of Copenhagen, Christiana is somewhat unique in a city which is so clean and organised. 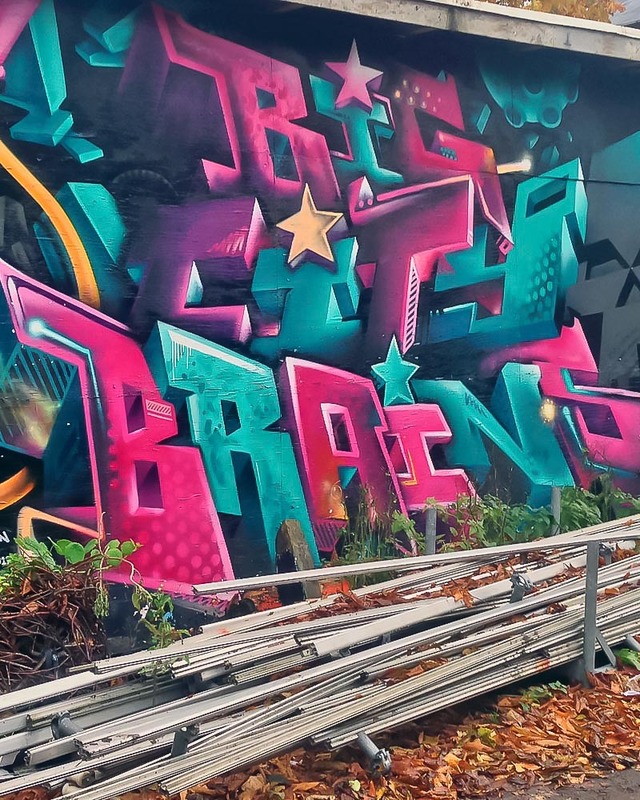 Home-made houses, rules that include no photos or running, and the lingering smell of Marijuana make this colourful collection of art galleries and music venues which is home to around 1000 residents an exciting side trip during your Copenhagen day trip. 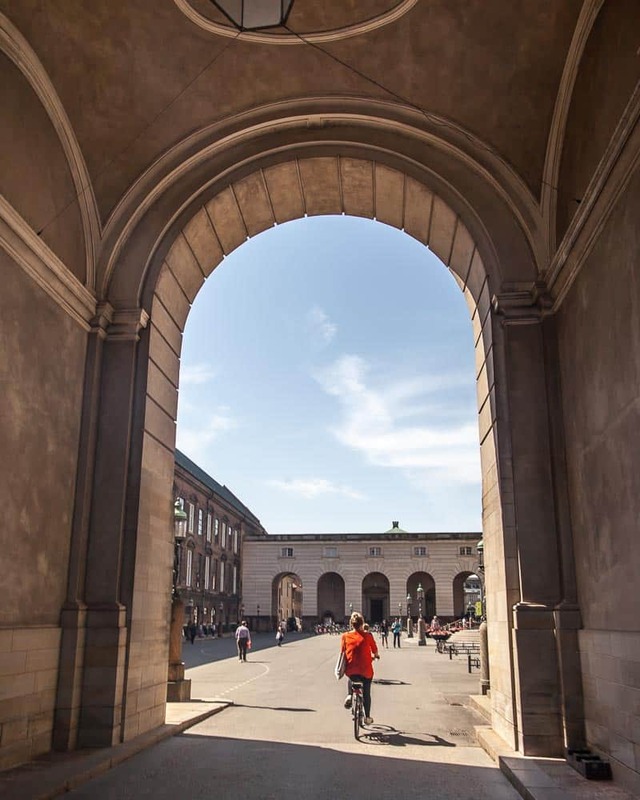 There are plenty of castles and interesting buildings to discover in Copenhagen, and with your bike, it is easy to hop between them alongside the canals. 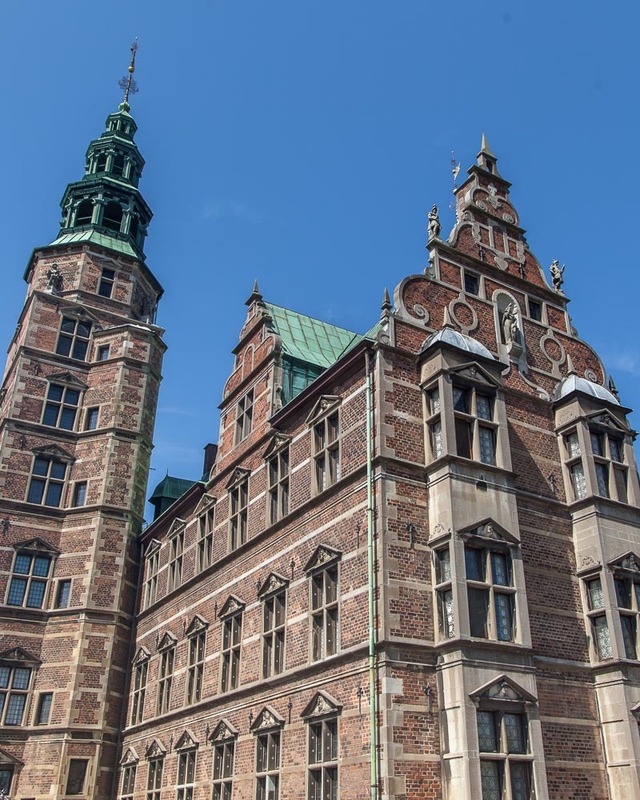 Rundetaarn, a 17th-century tower, the royal Christiansborg Palace and Rosenberg Castle are all worth a visit but with only one day in Copenhagen, research and pick which ones you would most like to spend your time exploring. Keep an eye out on the rooftops and spires throughout the city, they are pretty unique, and I quite enjoyed spotting them while cycling around. 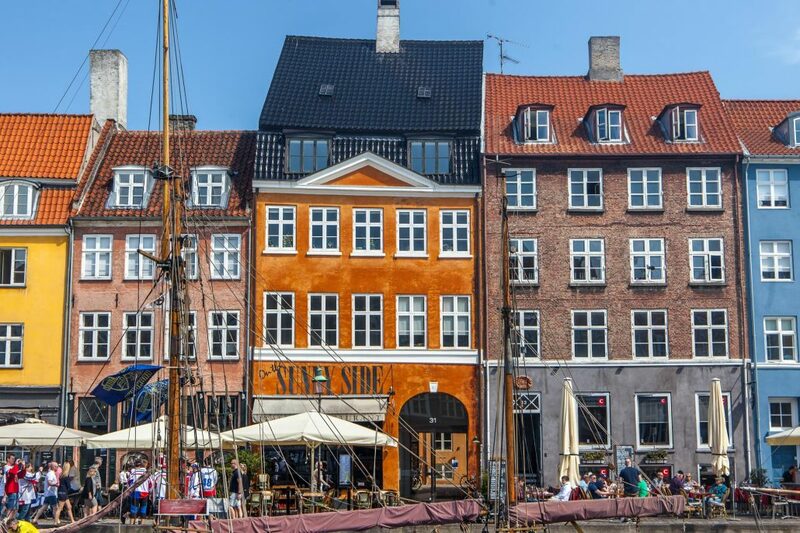 Expenses can quickly add up in Copenhagen but get the local flavours by having lunch in the city rather than back on the cruise ship. 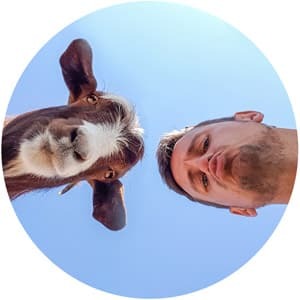 Try some of the local delicacies which include Smørrebrød, the Danish word for an open sandwhich, topped with local produce and mainly with fish such as shrimp or smoked salmon. If you are after a lighter snack, then grab a boiled red hot-dog which you can easily find at stalls in the city as well. If you are a fan of beer, then the Heineken experience might be worth checking out.